When the leaves begin to turn and the temperatures cool, my heart sings. On our walks with the dogs, I've noticed the rich shades of purple and gold in the weeds along the ditches and woods. But nothing beats the beauty of the reds, oranges, and yellows I look forward to in the fall. The trees cycle through their process. Chlorophyll breaks down and pigments mix in and create the abundance of color. As autumn progresses the leaves tumble to the ground and carpet our walking paths. Trees are a fascinating part of God's creation. They provide shade, wood for furniture and paper, sap for maple syrup, and limbs for climbing. As I walk in the woods I am amazed by the tall oaks and maples. The beautiful dogwood brings me joy. As much as I love the science of trees, I'm more fascinated with the Bible verses that talk about the forest singing for joy. 1 Chronicles 16:33, Isaiah 44:23, and Psalm 96:12 all talk about the trees giving praise to their creator. And I'm sure in their own way they do. 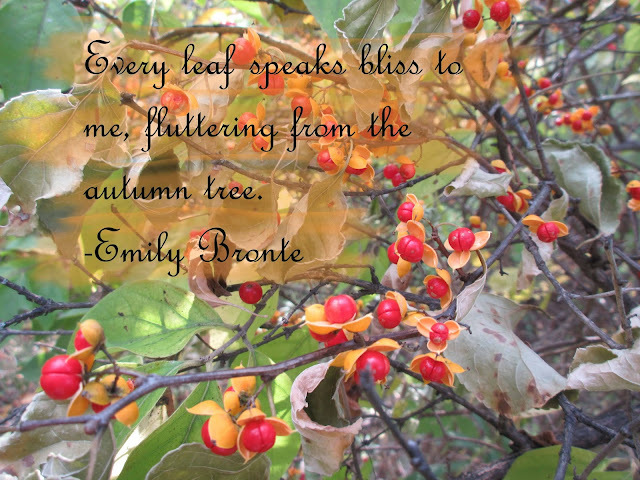 The splendor of fall has to bring joy to God. He made them and they're showing off their beauty just for him. If the trees can stand tall and rejoice to the Lord. Shouldn't I? Life gets tough. Days are hard. Weeks seem long sometimes. 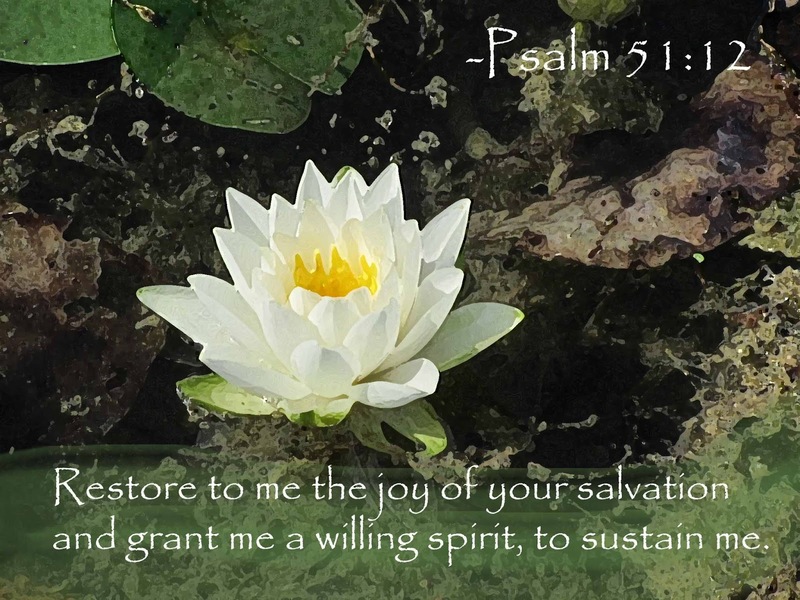 But even in discouragement, I want to praise God. He made me. He takes care of me. He loves me. Praise and joy to the one who created the forest! What if a child could read his or her own personal mail from God? The NIrV Love Letters from God Bible will invite kids to do just that! This full-text Bible in the New International Reader’s Version (NIrV) is a perfect way to introduce children to God’s Word and his great love. 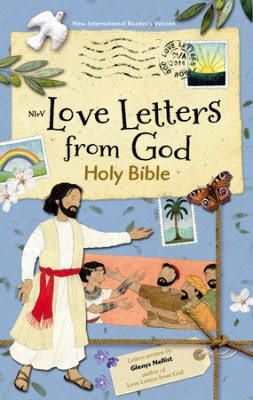 With 80 love letters from God written especially for the reader, children will see Bible stories and themes come to life and learn just how much they are loved by their Creator. Each love letter also contains a very special Bible verse, entitled God’s Wonderful Words to You. Much more than a mere memory verse, each carefully chosen promise will be God’s very own personal words of love, encouragement, and hope, and are highlighted in the text. The love letters will culminate in an invitation for the children to write their own RSVP to God. The first thing I noticed when I opened the box and pulled out this Bible was the inviting cover. Just seeing the lovely illustrations on the front made me want to open it. Inside I found an explanations of the NIrV version and why the publisher chose to use this edition. There is also a page of contents, a presentation page, and colorful maps. But the real beauty is in the "Your Love Letter from God" pages and the colorful inserts that give the reader explanations of Biblical principles. The letters from God are written by Glenys Nellist, who has written several beautiful books for children. There is also a place for the reader to write a letter back to God and a place in the back for notes. 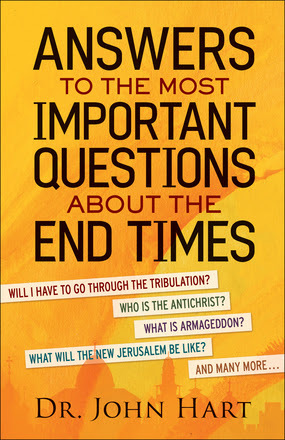 This would be an excellent Bible for a child who has given their life to Jesus or one who wants to learn more. I'd go so far as to say, an adult would enjoy the book as well. 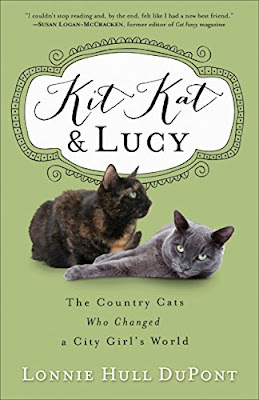 Kit Kat & Lucy is a delightful read about two sweet creatures who brought joy to their owners in a time of transition. In the book, I learned of Lonnie Hull DuPont's struggles in life. I loved how she found peace though these sweet creatures. Another wonderful aspect of the book is her relationship with her husband. Their marriage is a centerpiece as they snuggle into their new home many states away from where they met. Reading Lonnie's writing, left me feeling like I was reading a letter from a friend. I can honestly say, I smiled a great deal and even laughed out loud a few times. If you love animals, especially cats, you'll enjoy the antics of Kit Kat & Lucy. I can easily give this book five stars. The calendar declared September 22 as the first day of autumn. But in Ohio the thermometers registered close to ninety degrees. Too hot to be considered the wonderful season of change I look forward to every year. I'm not a summer person. Although I've enjoyed swimming with the grandkids and visiting Lake Erie, I'm ready for cooler days and nights. Breezes with the slight smell of chimney smoke and fallen leaves. And oh the pumpkin flavored goodies. But because of the hot days, I can't wrap my head around the idea that leaves will be changing soon, and I'll be donning a jacket. Because the season hasn't changed as I expected, I feel restless, unsure I can trust the weather. Expectations can be misleading and disappointing. How often have I expected God to show up the way I thought he should ? I've prayed and assumed he'd answer exactly as I petitioned. When he didn't, anxiety crept in, my imagination blew out of proportion, and I felt restless. But then, guess what. I found out that God knows better than I do. My expectations don't always match the wisdom of my loving Father. I've learned it's better to push expectations to the sidelines and instead embrace faith and trust. I believe God knows best. 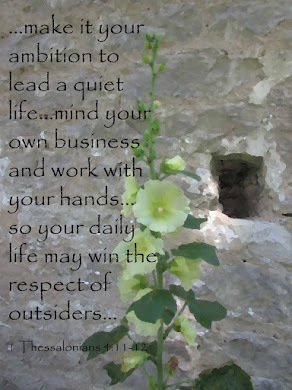 And I need to put that into practice. Is it easy? Nope. But life is so much better when I anticipate with faith instead of my own assumptions. Praise God that he knows what's best for me! Have you had expectations and found out God had a better plan? In our September travels, we headed north toward Port Clinton on Lake Erie. We lodged at the Great Lakes Motel, a throwback from the 1970s, in the town of Fremont, Ohio. There we found a clean room and kind innkeepers. From Fremont we sped up to Port Clinton to check out the lighthouse that's been replanted back to its original home. The lighthouse, still in stages of reconstruction, stood on a small beach where undisturbed shells decorated the sand. A quiet walk along the water accompanied by ducks and geese lent itself to a peaceful respite. While in the vicinity, we stopped by The Tin Goose for a bite to eat and then visited Kelleys Island, always a favorite. The relaxed atmosphere was the perfect way to spend a day. We hiked through The Scheele Preserve to a lovely beach. Then we pressed on to loop around the island and view some of the historical homes. Wow-I'm not sure where to begin with Gilt Hollow. First of all, it's obvious Lori Langdon poured her heart into her writing. She's created a funky college town as a perfect setting for the town of Gilt Hollow. Her characters are vibrant and deep. And the story left me breathless at times. All of that being said, it's been awhile since I've read young adult literature. 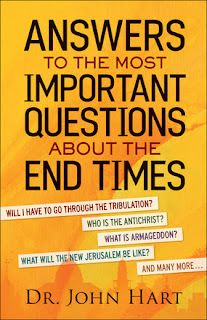 I was somewhat surprised to find a sprinkling of curse words and a few heated kissing scenes since I received this book from a Christian publisher (Blink, Zondervan). I'm not going to get on my soapbox, but felt the cursing wasn't necessary and the kissing scenes could have been toned down. I was pleased with the theme of forgiveness and how it played out including some references to God. The book is written for older teens (15+) and deals with violent circumstances and teen romance. Lorie is also the co-writer of the Doon series. 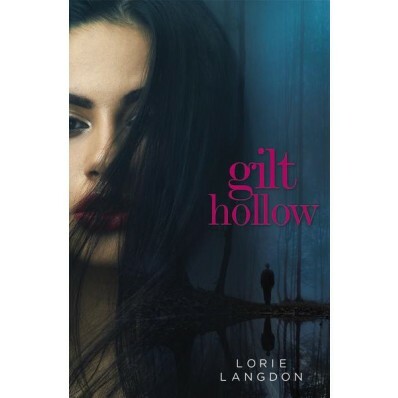 I received Gilt Hollow in exchange for a fair review. It's only September, but I'm already reading Christmas books. That's what happens when you're a reviewer. I've enjoyed every Christmas book I've read by Melody Carlson. 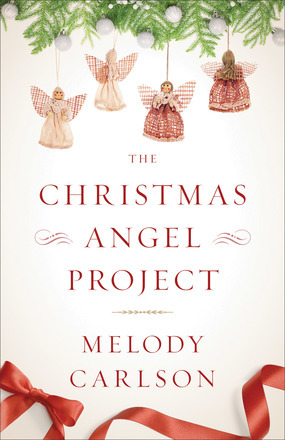 But I'm not sure I can put into words the excellence of The Christmas Angel Project. Not just because I love Christmas books, but because this is one of those books that makes a difference. Melody has created four real women with legitimate problems. Through loss and sadness they find hope and joy as they learn to lean on God. My favorite line from the book spoke volumes to me, "Sometimes we have to let our dreams go in order to allow God to bring them back to us—in his way and his timing." This is a perfect Christmas read to inspire the celebration of the giving spirit of the holiday season.